A cut in water supplies in the Syrian city of Aleppo has been condemned by the head of the United Nations. 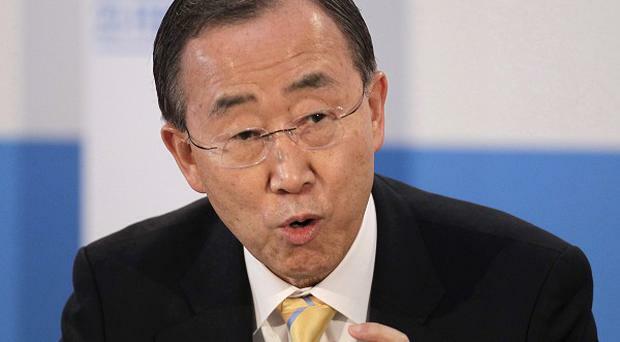 UN Secretary-General Ban Ki-moon said that preventing people from access to safe water denies them a "fundamental right". A statement from his office added that denying civilians essential supplies is a breach of international and humanitarian law. The director of the Syrian Observatory for Human Rights activist group, Rami Abdurrahman, said that rebels from the al Qaida-linked Nusra Front cut water supplies in the city nearly two weeks ago. He said that the group has tried to resume pumping water but that supplies are erratic.